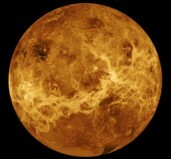 With Venus in the Third House the areas of life where you are most likely to express your social, romantic and artistic qualities are through an intellectual appreciation of art, cultural pursuits and literature - you are able to communicate scholarly appraisal of these subjects orally or in writing. Romantic contacts are usually from within the local environment close to home, although many romantic short trips are undertaken for pleasure. Good companionship is as equally important as romance and you prefer an intellectual, communicative, and witty partner. Once smitten, you are capable of sustained friendship and devotion. With Venus in the Sixth House the areas of life where you are most likely to express your social, romantic and artistic qualities are in establishing a happy and harmonious work environment through friendly relations with colleagues. Romantic and social activities may revolve around your working environment. You are generally well-liked and respected socially, although, on occasion, you can be overly critical - you will not tolerate any coarse or incorrect social behaviour from others. With Venus in the Seventh House the areas of life where you are most likely to express your social, romantic and artistic qualities are through a happy marriage and harmonious social relationships. To a very marked degree your general well-being and emotional health depend on sound and meaningful relationships - both social and romantic. Financial prosperity or social success may come through your marriage partner. With Venus in the Eleventh House the areas of life where you are most likely to express your social, romantic and artistic qualities are through forming harmonious, warm social friendships - probably related to group activities within a club, society or fraternity. You may meet your marriage partner through such group activities, consequently your interests will be shared. With Venus in the Twelfth House the areas of life where you are most likely to express your social, romantic and artistic qualities are through a love of quiet and seclusion to peruse personal or secret study and meditation - probably of a spiritual nature. Personal and social contacts often are secretive, and there can be secret love affairs. Social inhibitions or shyness can lead to some loneliness or romantic frustration.